During the last 18 years, Bladt Industries has been involved in the fabrication of more than 1,700 offshore foundations and 21 substations for the offshore wind energy sector. Today, we continue to contribute with complex steel solutions leaving our mark on large-scale, renewable energy projects around the world. • Constructions for the utilisation of tidal and wave energy. 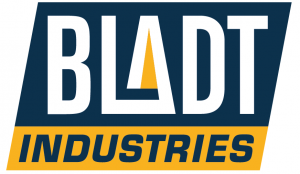 Bladt Industries has been a dynamic and innovative player in the market ever since the very first offshore wind farms were erected. Since 2002, we have produced multiple substations, and for each project, we have added to our expertise and knowledge within this field. 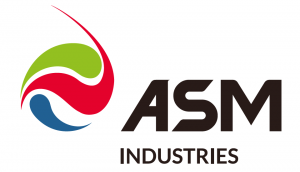 Today, we are a market-leading manufacturer of offshore substations, offering our customers a wide range of options – from production of individual steel structures to complete turnkey solutions. With a constant focus on functionality and efficient design, we manufacture high quality and customised solutions – always delivered on time. We specialise in the production of offshore foundations, including monopiles, transition pieces, XL foundations and jackets. We customise each solution in accordance with customer requirements, always striving to optimise every link of the supply chain. In 2017, we could celebrate, as the first in the world, to complete the fabrication of 100 offshore jacket foundations. Through the years, we have contributed to and left our mark on the majority of the European offshore wind farms giving us a unique knowledge of customer needs. Beatrice, Hornsea Project One, Arkona, Walney 3 & 4, Wikinger, Veja Mate, Bligh Bank, Burbo Bank Extension, Nordsee One, Sandbank, Gode Wind 1 & 2, Baltic 2, Nordsee Ost, Borkum Riffgrund 1, West of Duddon Sands, Northwind, Gwynt y Môr, London Array, Walney I & II – and many more. • Optimal production and quay facilities. Through dialogue and involvement, we guide our clients through the entire process – from inception to successful completion. Our steel solutions are built for the future.